Some projects funded under the just concluded phase of Protecting Livestock II are already showing promising signs of sustainability. The projects that were implemented with Hester Biosciences in India were aimed at distributing a new thermo-tolerant Newcastle disease vaccine to smallholder farmers. The vaccine manufactured by Hester was being distributed in smaller 100 dose packs. A key component of the Hester project was to develop a reliable supply chain of the poultry vaccines in rural and tribal areas of Odisha, Chhattisgarh and Jharkhand. 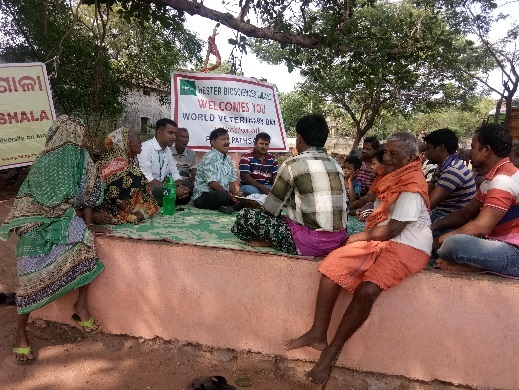 During implementation, various partnerships were made to spread awareness and reach the underserved smallholder farmers, especially tribal areas. Among such partnerships were with Birsa Yuva Seva Samiti (BYSS) in Jharkhand and Pathe Pathshala (PP) in Odisha. Although the project between GALVmed and Hester came to an end in June 2017, awareness and vaccination activities are still continuing and growing in project areas illustrating the potential for sustainable change in project area. During the recent World Veterinary Day which was marked on April 28, 2018, Hester and BYSS convened an animal health awareness open day under the leadership of Dr Bablu Sundi where more than 200 smallholder livestock keepers participated. Dr Sundi, is a dedicated vet who founded BYSS to create animal husbandry awareness and provide extend animal health services in tribal areas of Chaibasa area with unique veterinary-mobile- ambulatory van. His efforts are captured in this story we did previously. 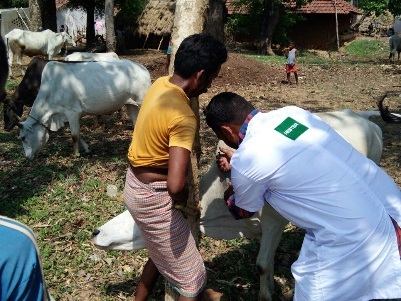 BYSS is continuing to provide animal health services to smallholder farmers in Jharkhand. 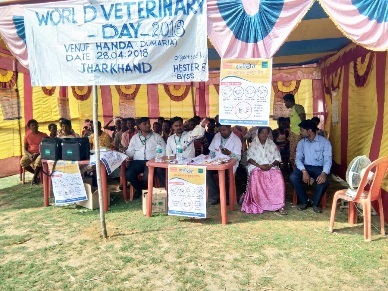 And in Odisha, Dr Balaram Sahu of Pathe Pathshala organised an awareness camp for tribal farmers in Munduli, Cuttack district, aslo on World Veterinary Day. More than 40 smallholder livestock farmers participated proactively. These awareness activities and other vaccination efforts are the result of the seed planted by the GALVmed-Hester partnership and are now continuing without further donor funding. The Hester project is an example of successful market development initiatives in South Asia. A new dedicated division ‘Veterinary Social Business’ has been established at Hester Biosciences Limited to spearhead a large scale project in some other Indian states and Nepal under the new GALVmed funding of Veterinary Innovations Transforming Animal health and Livelihoods (VITAL) that aims to provide smallholders with access to a suite of multiple veterinary products. This post was written by Dr Rahul Srivastava who is the Assistant Vice President of Veterinary Social Business, Hester Biosciences Limited.